Will José Mourinho Take United Back To The Top? Manchester United have finally replaced their man in charge, sacking Louis Van Gaal in favor of Jose Mourinho right after the Dutchman’s FA Cup triumph. Jose Mourinho is a familiar face at Old Trafford, having visited the ground with at least 3 different clubs. The Portuguese first met the Old Trafford crowd during a UEFA Champions League match with FC Porto – one which Manchester United fans will never forget. Mourinho’s men knocked out Sir Alex Ferguson’s side in an exciting spectacle that saw Jose run across the pitch with excitement. Jose’s squad went on to win Champions League that season. The Manchester United board have been frustrated with poor results for the past 3 years, and they have finally flexed their persuasive muscle by attracting “The Special One” to Old Trafford. Jose Mourinho is one of the most decorated managers in the history of football – having won over 20 major trophies and perfected his craft by managing 4 of the biggest clubs known in football. The Portuguese manager is one of the only few high profile coaches in the world to have never actually played as a professional footballer during his career. He instead began his career by working as a translator at Sporting CP, under the management of his mentor – Bobby Robson. After leaving Sporting CP, Jose worked under Louis Van Gaal at FC Barcelona. The Dutchman entrusted Mourinho with the coaching duties of the FC Barcelona B squad – in order to better develop Jose’s skills. Louis Van Gaal also handed Mourinho the first team squad during minor trophies, with Jose winning Barcelona the Copa Catalunya in the year 2000. Jose Mourinho eventually landed his first top–tier manager position when he replaced Jupp Heynckes as manager of Benfica. The Portuguese man only managed 11 games at Benfica, achieving a win percentage of 54.55%. Mourinho left Benfica to join Uniao de Leiria, where he managed 20 games and had a win percentage of 45%. It was in 2002 that Jose Mourinho was handed his first opportunity to properly showcase his talents – this time with Porto. Astonishingly, Jose Mourinho managed the Portuguese team to UEFA Champions League glory. During Mourinho’s reign at Porto, he picked his players in an excellent fashion – he picked players who were going to stay at the club for a long time and follow his philosophies, and he brought in players specifically for one job and sold them later on. Manchester United have certainly appointed a man with ambition and drive, a man who knows how to position his players just right to get the best outcome. Such tactics have only been implemented at Manchester United by one man – Sir Alex Ferguson. The Scotsman brought in Robin Van Persie during his last season in charge of United. The move proved to be a massive success, as Robin led United to their 20th Premier League title – and Sir Alex’s last ever. Jose Mourinho moved on from Porto in 2004 – this time to join the Barclays Premier League side Chelsea FC. Mourinho became the highest paid manager in the world at the time, with a salary of £4.2 million a year. His statement resulted in the media dubbing him “The Special One”. Jose Mourinho was now one of the most influential managers in Europe – his statements and predictions seemed to be always true. Mourinho soon picked out all the ‘weak’ players in the squad and simply sent them packing. He only had room for players that he suspected would win Chelsea titles – a job he was brought in to do. When Chelsea owner, Roman Abramovich, offered to break the World Transfer record to sign the Brazilian maestro Ronaldinho, Jose simply said “No, get me Didier Drogba instead.” Drogba soon went on to embed his name in Chelsea folklore – winning them the UEFA Champions League title. Mourinho brought Chelsea their first top-flight domestic title in 50 years – a trophy that Manchester United fans have craved for since the departure of Sir Alex Ferguson. Jose spent 4 seasons in England and won 6 trophies for Chelsea before leaving for Italy – but would come back for another stint in 2013. It was Jose’s next move that may have brought him the most successful part of his already illustrious career. In 2008, Jose Mourinho signed as Internazionale’s new manager – replacing Roberto Mancini. Mourinho continued his controversial moves, selling the likes of Zlatan, Crespo, Vieira, and Maxwell; and then going on to sign Eto’o, Motta, Sneijder, and Lucio – possibly the most daring and successful transfer moves in the history of football. Just a year later, Mourinho managed Inter to their first ever Treble – and first ever by an Italian side. Before he even had the chance of celebrating Inter’s success, Real Madrid came in. They wanted the Portuguese man and they would stop at no bounds to get him. In 2010, Jose made the switch from Italy to Spain – where he spent 3 seasons, but could not replicate his past brilliance. His crowning achievement was probably winning the La Liga title in 2012 – during the peak of Pep Guardiola’s Barcelona reign. Real Madrid managed to scoop 100 points – the most in any of the Top European Leagues. During his second spell as manager of Chelsea, Jose managed to win the Barclays Premier League. But, his third season at the club began and ended as a complete disaster – leading to his dismissal in 2015 and leaving Chelsea sitting in 16th place. Manchester United fans will certainly be looking forward to seeing the new Portuguese manager in the dugout. His tactics and mentality have made him one of the greatest managers ever. His win percentage is 66.01, the highest of any manager available at the moment. 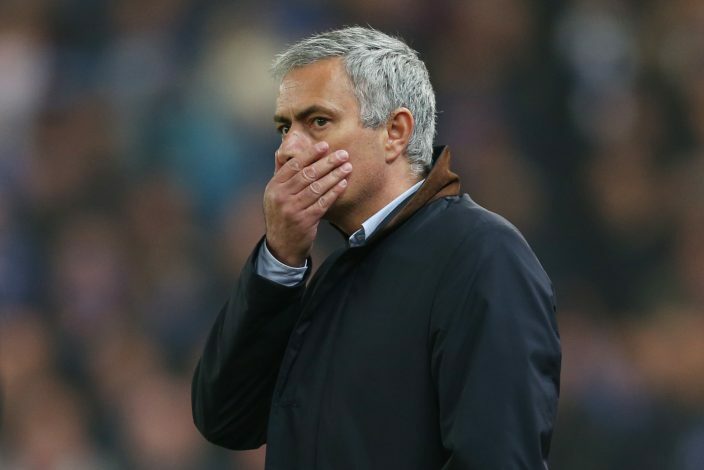 But, with Mourinho comes baggage – and a lot of it. The Portuguese man has never been afraid to point out his thoughts and doesn’t care what anyone else thinks of him. Mourinho also has a nasty record with mistreating his star players – e.g. Iker Casillas, Juan Mata. He only wants players who fit in and believe in his philosophies. Only time will tell if he is the perfect fit for the Red Devils, but it seems that the United board are desperate for results and have put aside all the drawbacks of Jose Mourinho in order to set United back on track.